Here at Premier Heating and Air, we love to teach people more about their HVAC system, how it works to keep their home comfortable and clean, and how our HVAC services help keep systems working at their ultimate efficiency. When educating people about HVAC systems and services, we often employ the ‘nose’ metaphor. Oh you haven’t heard this one yet? Well, don’t mind if we do. Think about your body. It needs oxygen to function properly. How does it get this oxygen? Through the constant inhalation of air from your surrounding environment. How does it avoid sucking up dust, allergens, and airborne pathogens? It filters them out with the help of your nose hairs and lungs. Still with us? OK, now think about your HVAC system. It needs airflow to function properly. How does it get this air? Through the constant consumption of air from the outdoor environment. How does it avoid sucking up dust, allergens, and airborne pathogens? It filters them out with the help of a clean filtration device. How Do HVAC Air Filters Work? Now that you have a good idea of the essential function that HVAC air filters perform on behalf of your health (and your nose), let’s take a closer look at how they actually work. HVAC system air filters are square or rectangular items that stretch a porous membranes across the intake vent. This membrane is designed to allow air through while trapping and preventing dust, pollen, dust mites, pet dander and mold spores from entering the HVAC system. While the purpose of all HVAC air filters is the same, each particular type of air filter goes about its job in a slightly different way. 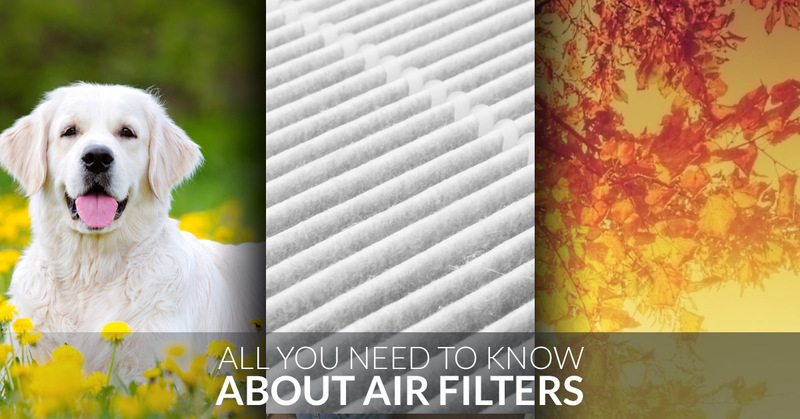 Let’s take a look at the various types of air filters you can install in your HVAC system and what they bring to the table. Flat-Paneled Fiberglass – These air filters employ a disposable membrane made of layered fiberglass fibers. These HVAC filters are inexpensive, and typically only filter out enough dust and debris to keep the HVAC system safe, not your sinuses. Pleated Media – These air filters employ a disposable polyester membrane made of pleated polyester. Because the membrane is pleated rather than flat, there is more surface area on which to capture airborne particulate. HEPA – If you’re looking for the cleanest possible air, free of allergens and particulate that can compromise your health, installing a HEPA filter in your HVAC system is the way to go. Recognized by the Occupational Safety and Health Administration, along with the EPA, as a superior air filtration device, “HEPA products filter air at a very fine level, blocking elements that are 0.3 microns or larger. These filters catch 99.97 percent of all particles,” according to Angie’s List. Permanent Electrostatic – This modern air filter has a membrane made of electrostatic fibers that are made keep out odors and carbon as well as particulate. 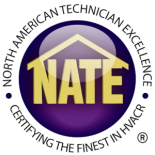 Many homeowners are attracted to the fact that electrostatic fibers can be washed and reused for up to 10 years! Premier Heating and Air Is Your Partner In HVAC Service! If you’re unsure about which air filter is best for your HVAC system or would like the chore of changing your air filter to be our problem instead of yours, contact Premier Heating and Air in Denver today. We provide complete HVAC maintenance and repair services so that you can rest–and breathe!–easy.